Sam Rockwell joins Daniel Craig, Olivia Wilde and Harrison Ford as a group of western settlers who encounter invading aliens. 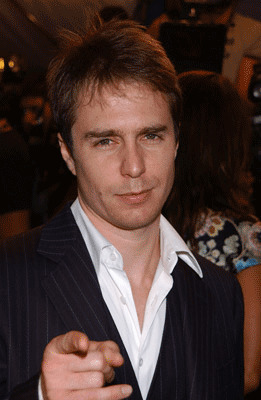 Heat Vision verifies that Sam Rockwell will play a bar owner named Doc, a role that was expanded by writers Alex Kurtzman, Roberto Orci and Damon Lindelof for Rockwell after he showed interest in the film. Rockwell who just worked with Favreau on "Iron Man 2" seems like a perfect casting for a western themed film. Let us not forget how immaculate Rockwell is in The Assassination of Jesse James by the Coward Robert Ford. I will be frank, the source material is a fun read, but it is very light in substance. The Dreamworks production however has a lofty team of writers who have me hoping for a awesome movie going experience. 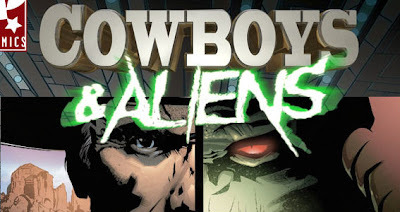 I mean if the guys that brought us ABC's Lost or J.J. Abrams Star Trek can't give the source material a little more development, I'd be pretty surprised.